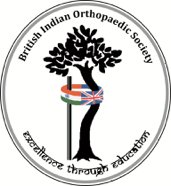 Leicester is proud to host again the annual meeting of British Indian Orthopaedic Society on 28th & 29th June 2019. There is an excellent scientific programme on offer with a number of national and international guest speakers including Mr Don McBride, vice president of BOA, Prof Rajesh Malhotra, president Indian Orthopaedic Association and Prof Shekhar Kumta, Assistant Dean, The Chinese University of Hong Kong. The theme of this year's congress is trauma revalidation and will cover the latest update by experts in their respective fields. The meeting will be held in Leicester Marriott which is a modern hotel and provides top class facilities for meetings of this nature. The venue is very close to motorway and there will be free parking on the site. Leicester is well known for multicultural culinary fest and the evening entertainment & dinner will be a night to remember. For hostel booking to this event click on the link below to access reservation at preferential rates. For cancellation until 31st May - there will be 75% refund. After 31st May there will be no refund for cancellation.